MULTITASK----allows you to have an intercom conversation while simultaneously listening to music,GPS and talk via Walkie Talkie. Can be used with all EJEAS?and non-EJEAS?Bluetooth headsets on the market. 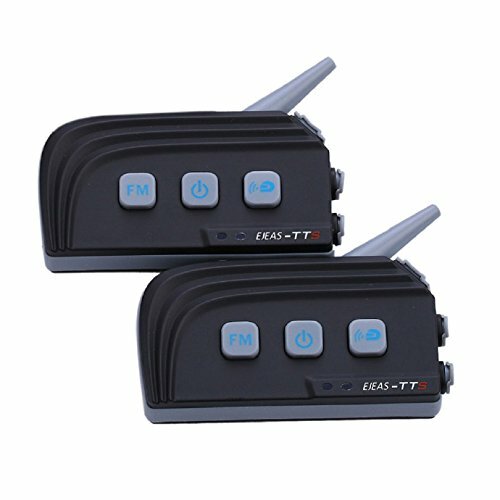 Support to connect cellphone, mp3, GPS via Bluetooth function, Play stereo music from your mobile phone,listen to audio navigation from GPS. Compared with traditional two-way radio that talks in the way of half-duplex, this Bluetooth Intercom easily skips the step of PTT to reach communication without any delay. It supports max 4 riders talking each other simultaneously in one time. If you have any questions about this product by EJEAS, contact us by completing and submitting the form below. If you are looking for a specif part number, please include it with your message.